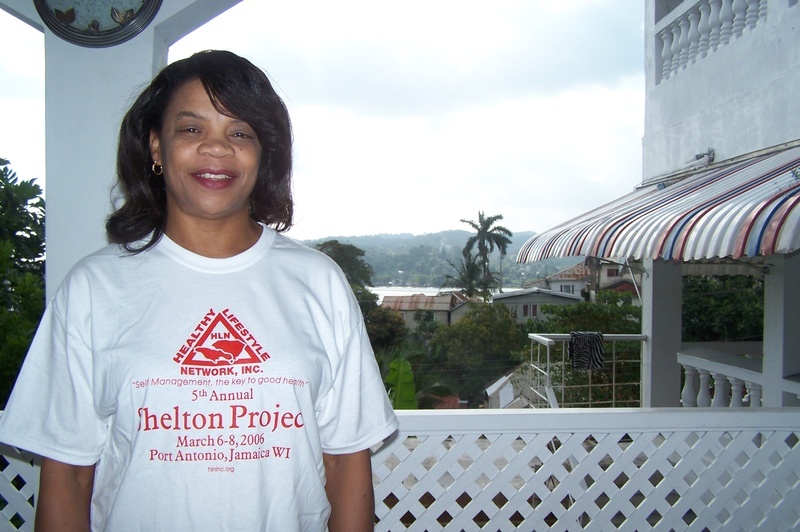 The Shelton Project started as a medical mission to Port Antonio, Jamaica in 2002. During those trips, HLN took medical volunteers and provided free healthcare, medications, diabetes and cardiovascular screenings, glucometers and blood presure machines to adults. In 2006, we provided supplies to five churches to establish health ministries. Dr. Daniela Speck's generosity in giving her practice made it possible to provide free healthcare to the public. The days ran from morning until dusk. Two days were devoted to adult healthcare from Dr. Speck's office and one day was devoted to screenings at Titchfield and Port Antonio High. Healthy Lifestyle Network, Shelton Project Medical Missions, 2006. 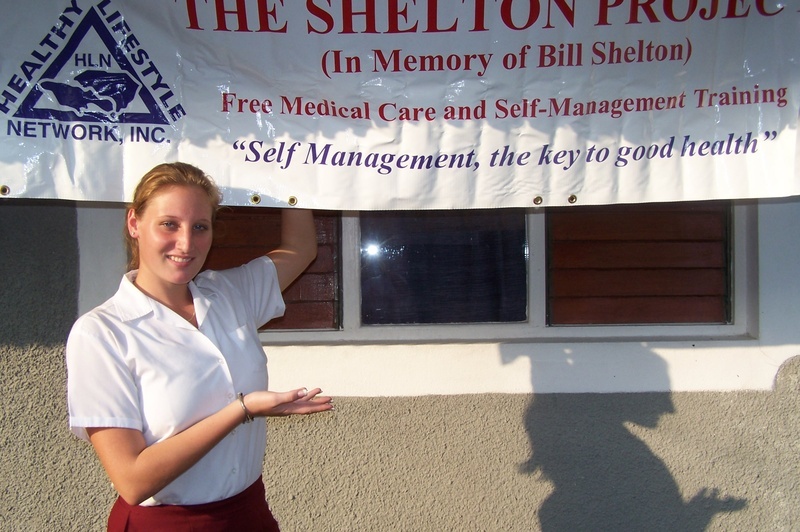 In addition to providing healthcare, the Shelton Project established a reading program at the Port Antonio Infant School. 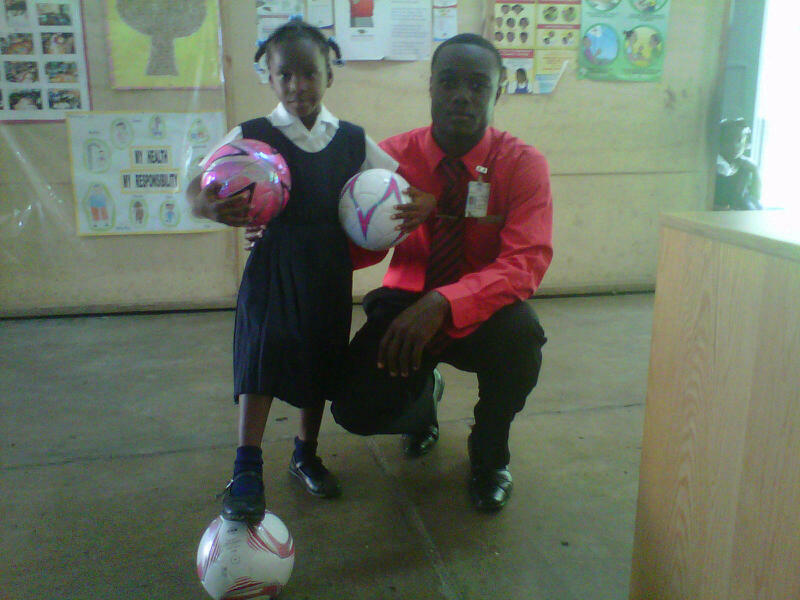 In 2009, we attempted to engage several infant and basic schools in a football program. 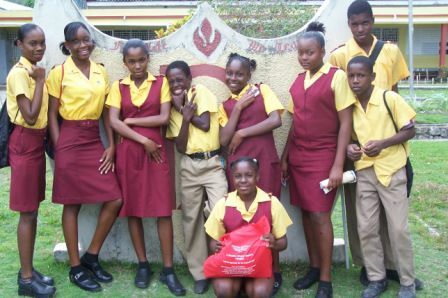 In 2010, HLN developed a Four Pronged Program for the ten infant and basic schools in Port Antonio. Environment- teaching environmental stewardship of the land, planting, recycling, conserving energy and in general tips on going green. The children plant trees, vegetables and flowers. Schools that have no land space to make outdoor beds utilize pots. Nutrition - The children learn healthy food choices and learn to eat from the land by eating the vegetables they plant. Reading -All schools are provided books to create a library to encourage the children to read. These books are available to the children to read before and after school, and during school according to the rules of the classroom. Physical Activity - Each school is encouraged to establish either a co-ed football team or two single gender teams. All the teams are members of the Shelton Wee Ones Football League. The first tournament was held on June 21, 2011. In 2012, the schools hosted the first Michael Jackson Earth and Arts Festival in Port Antonio. The children showcased their crafts from recycled items, performing arts. Summer Camp was held July 7 - 11 for both the children and the Lifechance Entrepreneurial Program. The participants were taught to quilt by Mrs. Joy Shelton. 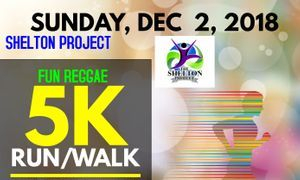 Confirmed schools participating in the Shelton Project: Port Antonio Infant, Boundbrook Infant, Boundbrook Basic, George Cohen Basic, Salvation Army Basic, Kids n Kids Basic, Bethesda Basic, Jack n Jill Basic, Little People Basic, and Fedlyn Beason Basic. Women & Youth Entrepreneurial Leadership - the first training for the LifeChance Program was held August 2012. The training was headed by Mrs. Joy Shelton, who taught the women one man and several teens the basics of quilting. In 2014, the new participants learned 'Quilting 101'. Our volunteers for the program traveled from Montego Bay, England, and the USA. The LifeChance Program is currently teaching vocational skills but will later teach entrepreneurial skills to the young people and women of Port Antonio to empower, strengthen, and enlighten as they prepare to become future leaders, and provide financial assistance to the mothers. 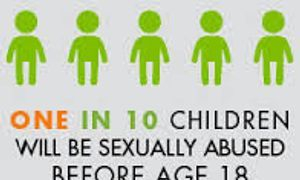 In 2017, the Shelton Project addressed childhood sexual abuse. We conducted a Darkness to Light Training, and a conference for women and girls titled You Are Royalty, Sparkle & Shine. In 2018, we will host STAND UP FOR CHILDREN WEEKEND, November 30 - December 3. 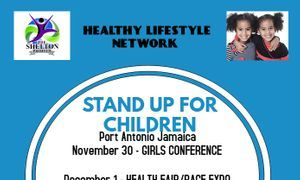 Join us in 2018 as we travel to Port Antonio, Jamaica to conduct the STAND UP FOR CHILDREN WEEKEND NOVEMBER 30 - DECEMBER 3. No special training required we will use your talents. The events for the weekend are: Girls Conference, Darkness to Light Training, Health Expo, Concert, 5k Run/Walk, and Presentation to the Women's Centre.